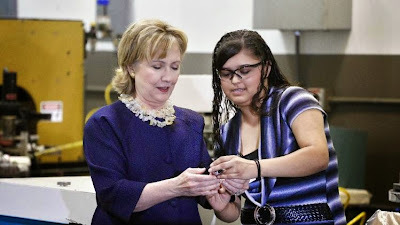 Hillary Clinton has "unofficially" begun campaigning for the US Presidency and is already trying to gather support from the plastics industry. 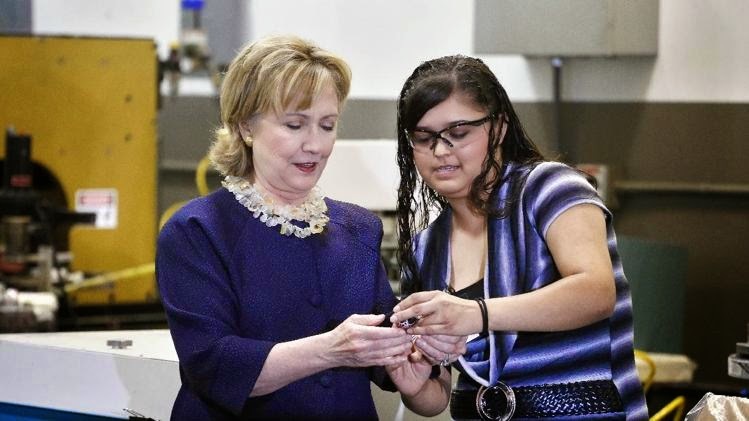 She recently visited Intertech Plastics, a molding shop in Denver. She didn't take any questions from reporters but I'm sure she was able to help the production floor overcome issues with their new hot runner equipment. While being knowledgeable about plastics may seem unimportant to most voters, a number of former national leaders have in fact been savvy about the plastics. Margaret Thatcher was a polymer chemist. The Supreme Leader, Kim Jong Il would often tour plastics manufacturing plants in his country and provide helpful insights. And even Saddam Hussein at one time thought to be was quite skilled with a plastics shredder (something I'm sure Hillary thought about using on Bill when he getting a little randy).